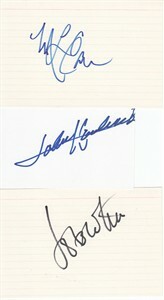 Lot of 3 autographs on index cards from legendary Boston Celtics stars M.L. 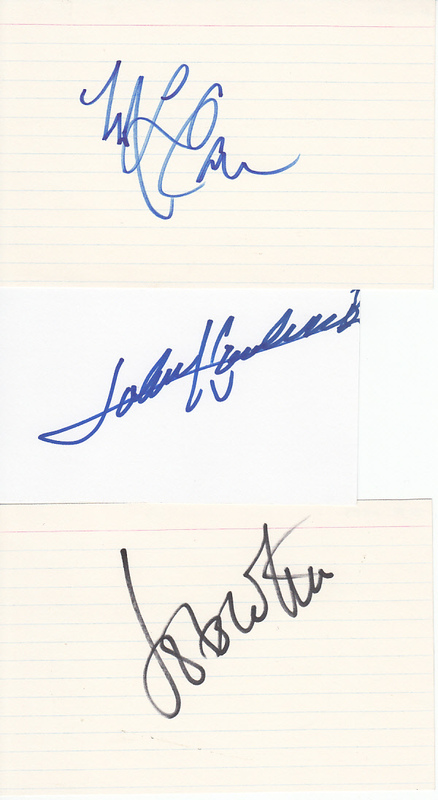 Carr, John Havlicek and Jo Jo White, who collectively captured 12 NBA Championship rings. All 3 obtained in person. With certificate of authenticity from AutographsForSale.com. ONLY ONE LOT AVAILABLE FOR SALE.